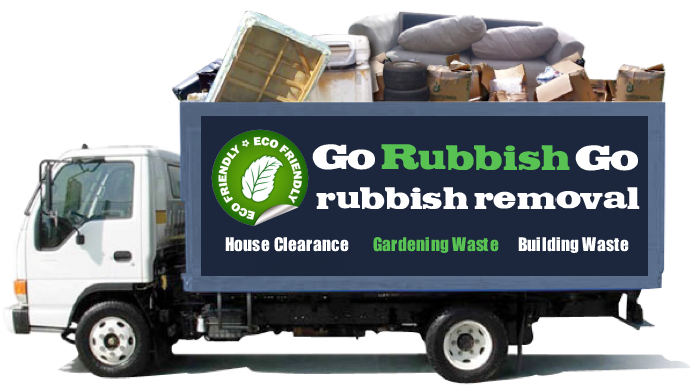 If you feel as though the junk, rubbish, waste and clutter in your life is becoming a problem then why not call us? 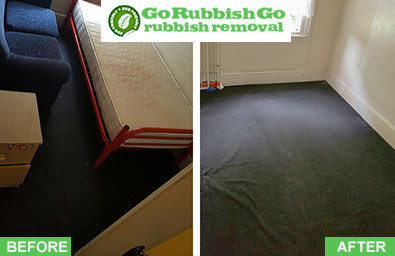 We specialise in lots of rubbish clearance Earls Court services that can help you in every area of your home, and we won’t just collect your unwanted goods and rubbish – we’ll dispose of it using green and eco-friendly methods too! We serve all properties in Earls Court, SW5 and we’re also available to help you with commercial clearance services too! Hiring us is the best way for you to get expert help and assistance for all of your clearance needs. With our years of experience and range of affordable and reliable Earls Court, SW5 waste clearance services, you won’t regret choosing our company! Our clearance company is just waiting to help you if your property is in the SW3 area, and we’re confident you won’t find a better solution to your problems, anywhere else in the area! To find out more information and to hire our teams for your Earls Court waste removal needs, simply pick up the phone and call us on 020 8610 9182 today! 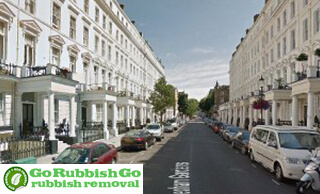 Choose Our Earls Court Rubbish Removal Company Today! Go Rubbish Go. has the range of services, the friendly and unobtrusive specialists and the competitive rates that you need for a property free from clutter. Contact us today and you can take advantage of our excellent prices, with no hidden fees or costs, and you can even get yourself free price estimation with no obligation necessary! Our fantastic range of affordable services includes everything from rubbish disposal in Earls Court to builders waste clearance, so whether you’re looking to dispose of unwanted goods, or if you’ve been left with rubbish to clear, we can handle all of the hard work for you! Great rubbish clearance company! I’ve hired them a couple of times for my office in Earls Court, SW5 and on both occasions they have amazed me with their dedication and speed of work. 10/10! Lots of people depend on our company in Earls Court for reliable services at an affordable price, and if you live in the SW3 postcode district then we’re just waiting to help you too! 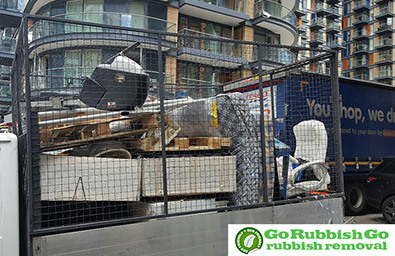 Hiring our SW5 rubbish removal team will save you time and effort, and whether you have an office in the SW5 district or a property within SW10, hiring us is the best way for you to get professional help and assistance. 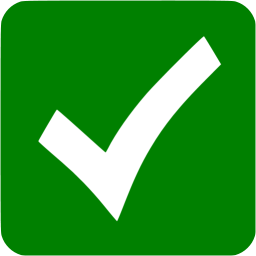 If you want to find out more information simply pick up the phone and dial 020 8610 9182 now to speak to one of our qualified team members! Our waste collection in Earls Court, SW5 may be the best in town, but that doesn’t mean they have to be the most expensive. In fact the exact opposite is the case, you will not find our services available at a better price anywhere else in the city, and that’s a guarantee. We are proud of the fact that we can deliver premium waste disposal SW5 services for a price that you can afford, we know above all else that this is what sets us apart from the pack. When you are in a competitive industry like we are, you need to work hard to separate yourself from the rest and none work harder than we do! Call today for a free quote! Earls Court is an area found in central London, forming a part of the Royal Borough of Kensington and Chelsea. The area borders the districts of South and West Kensington, along with Chelsea and Kensington itself. Fulham and West Brompton are popular areas that can be found nearby as well. Earls Court’s postal districts include SW5 and SW10, and it can be found only three miles from Charing Cross. It is perhaps most famous for being the home of the Earls Court Exhibition Centre, which is one of the UK’s largest indoor arenas, and is world-famous for events from expositions to concerts. Earls Court is also within walking distance of some of the country’s most revered and popular museums, including the Victoria and Albert Museum, the Science Museum and the Natural History Museum. It’s easy to travel to the area thanks to the Earl’s Court and West Brompton Underground tube stations, along with its many bus routes and services.